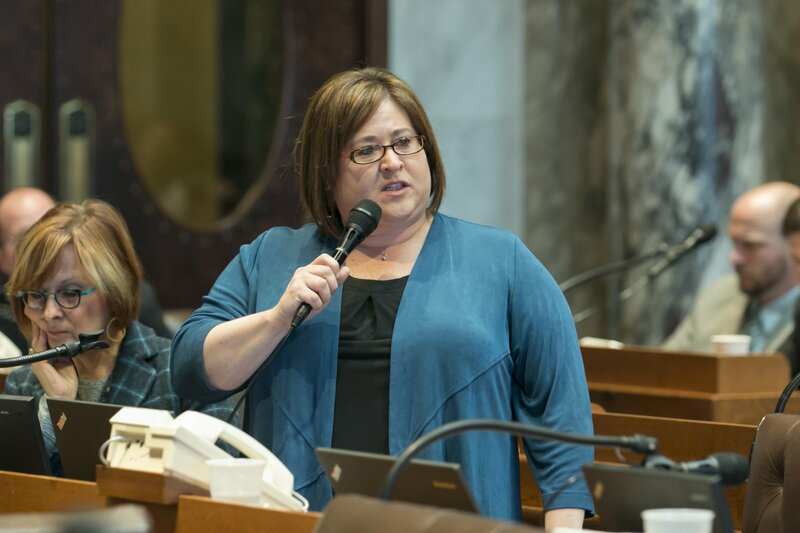 Today, Representative Lisa Subeck (D-Madison) expressed support for Governor Tony Evers’s decision to include reinstatement of the False Claims Act in his 2019-21 state budget proposal. The False Claims Act allows individual whistleblowers to bring lawsuits against companies who are defrauding the state’s Medicaid program, and rewards whistleblowers in successful cases where the state recovers funds lost to fraud. The False Claims Act once served as a powerful tool to help the government deter Medicaid provider fraud, but Republicans unfortunately eliminated it in their 2015 state budget. “When Republicans repealed the False Claims Act, they made it easier for unscrupulous corporations and big pharmaceutical companies to defraud Wisconsin taxpayers. I authored a bill last year that would have reinstated this important protection, and I now stand with the Governor in his efforts to hold fraudulent providers accountable,” said Rep. Subeck. As a result of the False Claims Act between 2012 and 2014 alone, Wisconsin recovered $28 million from companies who were caught defrauding the state’s Medicaid program. According to one estimate, the law’s repeal has cost taxpayers over $11 million in settlement money. Most notably, as a direct result of repealing the False Claims Act, Wisconsin collected $695,430 less than it should have in the national settlement against the drug manufacturer Mylan for underpaying Medicaid rebates. “In the name of preventing fraud, Republicans have made it more difficult for our most vulnerable neighbors to access services like Foodshare and Unemployment Insurance, but they turn a blind eye when wealthy special interests cheat taxpayers out of millions. It’s time to get serious about ending Medicaid fraud and holding those who take advantage of taxpayers accountable for their actions,” said Rep. Subeck. "It is shameful that women are still not compensated with equal pay for equal work." "The addition of a citizenship question is nothing more than an attempt to weaponize the census against marginalized communities by diluting their political influence." “In 2019, women in Wisconsin are engaged and energized, calling for an end to sexual assault, harassment, and discrimination. Today we celebrate the progress that we have made and renew our commitment to achieving gender parity as we strive to #BalanceforBetter,” said Rep. Subeck.